It’s the 70s and criminal boss Renzo and his crew wreak havoc across the streets, leaving bodies wherever they go. Detective Womack will stop at nothing to bring these thugs to justice, even if it means breaking the law. 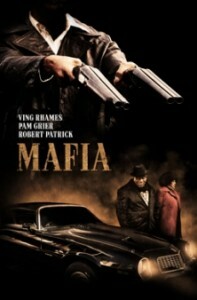 Starring Ving Rhames, Pam Grier, Robert Patrick, and Persia White, MAFIA delivers justice one bullet at a time.